ALL PARTS – ALL TRUCKS! You know IMEX is way out in front when it comes to MAN and IVECO, but we’ve applied our unrivalled truck knowledge, skills base and market-leading buying power to encompass the rest of Europe’s manufacturers too! Now we’ve successfully established a range of parts for Mercedes, Volvo, Scania, DAF and Renault trucks that’s hard to beat, with an inventory that’s growing by the day. So whatever you need for your Euro truck, call our team of friendly and helpful IMEXperts – they have the information you need to get the parts you want, fast. DAF – LF, CF and XF Check out our replacement DAF Parts brochure! Scania – 4 series, 5 series and R series View our replacement Scania Parts brochure! Volvo – FH, FM, FL, FLE and FMX Take a look at our replacement Volvo Parts brochure! Mercedes – Atego, Antos, Actros, Axor and Arocs View our replacement Mercedes Parts brochure! Renault – Midlum, Premium, Magnum, Kerax, D range, K range, T range and C range Don’t miss our replacement Renault Parts brochure! For MAN parts click here, For Iveco parts click here. Dented your DAF? We stock most of the more scuff-prone body panels, trims and mirrors to get it looking like the king of the road again. Servicing your Scania? 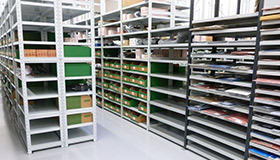 The full range of filters and service parts are right here on our shelves. Brakes, cooling, fuelling, steering, suspension, lighting and electrical, we’ve got the quality replacement parts you need, and with huge savings too. 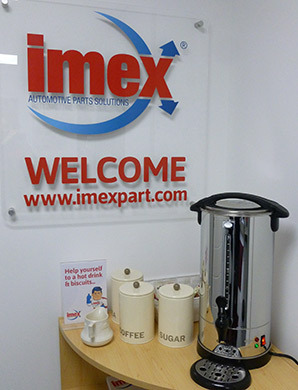 IMEX supplies top quality, usually OE-spec parts, so you’re buying parts comparable to those you’d buy from your franchised dealer, but without the big mark-up. 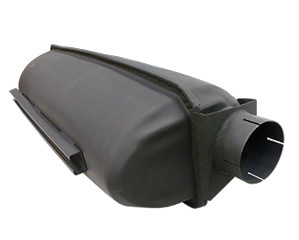 We often buy the same parts from the same suppliers that your truck’s manufacturer buys from. This means quality parts, the vast majority of which are made in Europe, and thanks to IMEX’s bulk buying power (and by cutting out the middleman), we can pass cost savings on to you. You can save up to 70% discount on like-for-like products by heading to IMEX instead of your franchised dealer – call us, now! * – conditions apply – Four times a day delivery service is to selected postcodes only, excluding Saturdays. Additional charges apply to Saturday deliveries. Our ALL PARTS for ALL TRUCKS brochure is available – click here to view! If your enquiry is out of office hours please request a call back - include a contact telephone number for us to return your call! 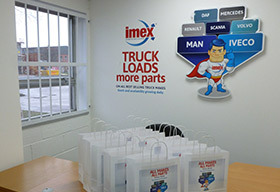 In addition to MAN and IVECO parts, the Imex team now offers quality replacement parts for DAF, Mercedes, Renault, Scania and Volvo trucks too; from our nationwide depots. Imex offers you more. With our dedicated All Makes Team, the Sales Team and Parts Interpreters and with over 20,000 product lines just for starters, and stock is increasing daily. 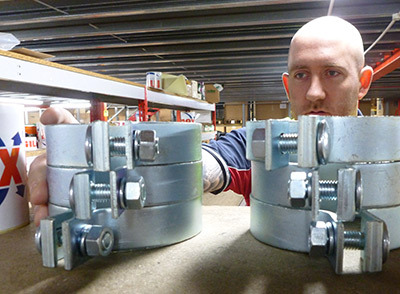 As we grow from strength to strength, we are growing our skills, and holding more stock and widening range for you, with increasing availability of hard to source aftermarket parts. We have the expertise, the parts interpretation knowledge and we hold the stock; we are the specialist. And our sites ensure you have a rapid delivery service, the parts you need –now! Check out our new brochure here! Imex offers you availability, quality, keen pricing and customer service. On the day, on the button. Be part of the success! When you need quality replacement parts for DAF, Mercedes, Renault, Scania and Volvo, as well as MAN and IVECO, try Imex. We stock parts for axle and driveline, braking, clutch, cooling, engine, exhaust, fuel, filtration, lighting & electrical, step panels, cab, mirrors & bumpers, steering and suspension. We offer immediate availability, all day collections from our trade counters, open 8 am to 6 pm. Plus, we deliver up to 4 times a day, Saturday morning delivery available too. And if you call in at Trafford Park, as well as your parts, we’ve got coffee and biscuits waiting for you! Request a call back for a parts quote, we’ll get back to you as soon as possible and get your trucks back on the road quickly.